Trial Services - Persuasion has done everything from accidents to MDL’s and Class Actions. No trial or hearing is too long or too short. We have handled cases that have lasted a day to years. Persuasion has experience in handling everything from accidents to MDL’s and Class Actions. We have handled all types of litigation; admiralty to criminal and maritime to patent. With years of experience, we are more than just button pushers. We will let you know our thoughts, ideas, and questions every step of the way. If we have a question, then it is likely someone on your jury panel has a question. We will assist you in persuading your trier of fact. 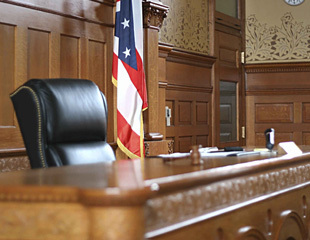 Contact us for more information about our Pre-Trial and In Court / Trial services. There is a fine linebetween having the newest piece of equipment and having something that is tried and true. It is our job to determine and supply the equipment that will work reliably for your purpose. We have all of the equipment that you will need for your case. We will set up the equipment and walk you through it. We WILL fulfill your equipment needs.